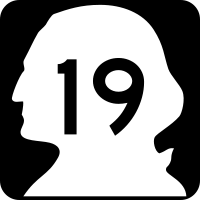 On Sunday, February 15, 2009, we drove the length of Highway 19, which is a rather short road for such a low number. 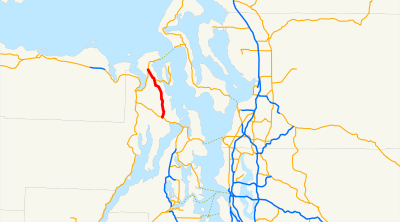 It starts over in Jefferson County south of Port Townsend and ends over in Jefferson County south of Port Townsend. 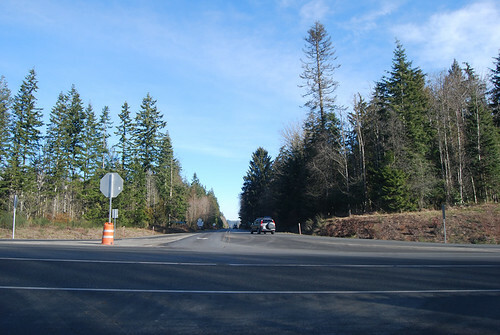 Beginning at a junction with state route number 104, thence northerly to a junction with state route number 20 near Old Fort Townsend state park. Today was a good day for a drive. Just about as far east as you can get on the Olympic Peninsula, near the Hood Canal Floating Bridge, we depart SR 104, heading north. After a dozen or so miles heading down the Chimacum Valley ("Look, sheep! 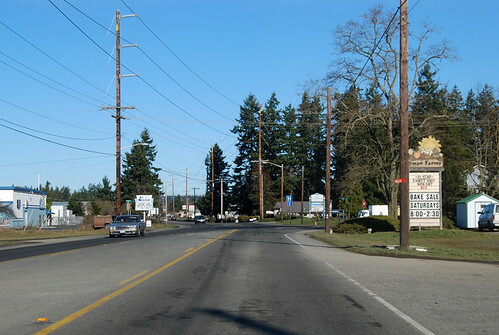 "), we arrive at the junction with SR 116, which is the way to Marrowstone Island and Fort Flagler. I hear it's a nice place for a bike ride. 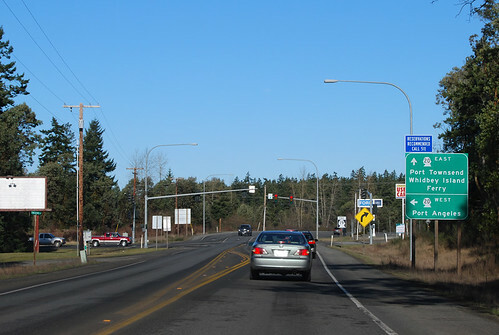 Five minutes later, after passing Jefferson County International Airport (too small for jets, but I guess you can get to Canada), we're at the junction with SR 20. Our drive is at an end, or at least it is on Highway 19.